Vision and eye health are things many of us take for granted, until we suffer an impairment or accident that results in at least some loss of sight. Then we realize how vital our vision and eye health are to us. 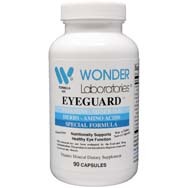 Proper eye care entails not only wearing protection, such as when mowing the lawn or being outdoors in bright sunlight, but also eating the right foods and using the right nutritional supplements as needed to bolster eye health. When we think of proper nutrition as it relates to our health, our thoughts usually turn to what we can eat to fortify ourselves against onslaughts of viruses or bacteria, or what we can eat in combination with exercise to build up our strength and energy, or even what’s best to eat (as well as not to eat) if we want to lose weight. Our eyesight is often an afterthought when it comes to eating right on behalf of our health, but it warrants a spot near or at the top of our list of dietary considerations. And this entails more than just eating a bunch of carrots, although those are indeed good for taking care of our peepers. The fact is, there are foods other than carrots that play as important a role in our eye health, perhaps even more so in some instances, per webmd.com. It isn’t just the current state of our eyes and sight that we must be concerned about. Deteriorating eyesight is a rather common problem for people as they age, with cataracts (clouding of the eye lens) and various forms of macular degeneration (gradual vision loss) among the long-term conditions we need to be cognizant of, especially as we hit age 60 and older. 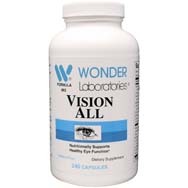 The good news is that eye conditions and diseases aren’t inevitable: we can help stave them off or even prevent them by including in our diet various compounds and vitamins that can help guard our eye health going forward. Beware, though, as pointed out at articles.mercola.com, that with the rising incidence of chronic diseases such as diabetes, combined with an aging population, occurrences of blindness and poor vision are expected to double by 2030, which would mean affecting 6.6 million Americans. 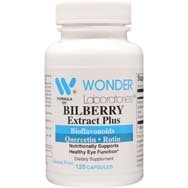 Americans like to think they are ahead of the game when it comes to nurturing, and nourishing, our eyes because of our easy access to loads of updated medical knowledge and keener dietary awareness, but the facts raise some doubt. According to the U.S. Centers for Disease Control and Prevention (CDC), 87 percent of us are not eating enough vegetables and 76 percent are missing the boat on fruit intake. Remember, both veggies and fruits are at the core of what we need to be consuming regularly on behalf of our eyes and sight. 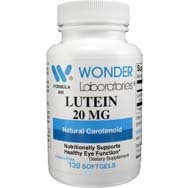 Lutein and zeaxanthin. OK, maybe you’ve never heard of them. But if you eat right, for your eyes’ sake at least, you have been consuming them. Typically found in green leafy vegetables such as spinach and kale, these nutrients have been shown to reduce the risk of age-related eye diseases, such as cataracts. They can also be found in several other foods, among them egg yolks. Essential fatty acids. Notice we are starting off this list by focusing on the nutrients and not the foods in which they come gift-wrapped for our bodies. This is so you will know what you are putting into your body and why. Research, as cited by the American Optometric Association (aoa.org), says omega-3 fatty acids – and, yes, we do need to consume some fat for our health’s sake – are vital to our visual development and retinal function. Vitamin A. Vitamin A deficiency is a leading cause of blindness, as it’s essential for maintaining the photoreceptors – light-sensing cells found in our eyes, per authoritynutrition.com. A lack of vitamin A can also lead to night blindness and dry eyes, as well as other diseases. Vitamin A sources include liver, egg yolks, and dairy products. Gamma-linolenic acid. 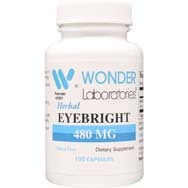 This is an omega-6 fatty acid that is an anti-inflammatory and can help reduce the symptoms of dry eye disease. 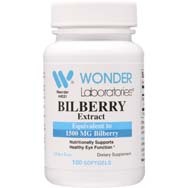 Look for it in primrose oil and starflower oil. 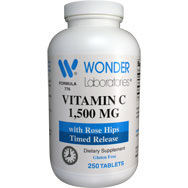 Vitamin C. A key ingredient to the eye’s aqueous humor, which is the fluid found in the outermost part of the eye. Foods rich in vitamin C include bell peppers, citrus fruits, kale and broccoli. Vitamin E. The best place to look for E is in almonds, sunflower seeds and vegetable oils, such as flaxseed oil. Among other things concerning the eye, vitamin E appears to decrease the risk of developing cataracts as you age by 6 percent, per authoritynutrition.com. Zinc. Per aoa.org, zinc is a vital “helper molecule” that helps transport vitamin A from the liver to the retina to produce a protective eye pigment known as melanin. Dietary sources of zinc include oysters, pumpkin seeds and peanuts. Follow along with these dietary suggestions and you should soon see your way to improved vision and eye heath.